SK-1V is a high capacity vacuum cleaner for cleaning floors wood working shops. 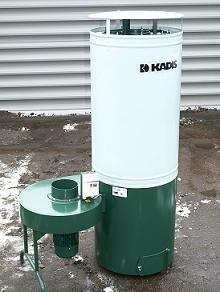 Could be used as dust extractor from wood working machines. SK-12RA designed for no aggressive, unexploded and inadhessive abrasiive dust suction. Could be used at grinding metal.